Supporting your cardiovascular health is of vital importance. While rates have been steadily declining since 2001, heart disease is still the biggest cause of death for men in the UK – and the second most common for women. Lifestyle factors have a big part to play in cardiovascular health, and regular exercise, a healthy diet and stopping smoking all contribute to reducing your risk of heart disease. 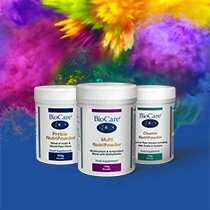 At BioCare, we offer a number of cardiovascular supplements – browse our range below, or read on for more information about our products. Co-enzyme Q10 (CoQ10) is a substance similar to a vitamin that is found in each cell in the body, and used to produce energy for cell growth and maintenance. 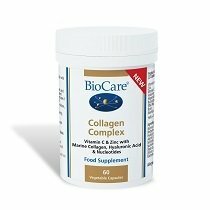 CoQ10 is also an antioxidant and helps enzymes carry out various functions, such as protecting the heart and skeletal muscles. 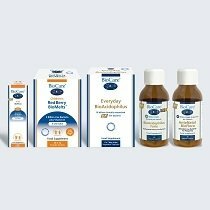 At BioCare, we offer a number of products with the powerful antioxidant co-enzyme Q10 included. MicroCell® CoQ10 delivers 200mg of the co-enzyme with very high absorption rates due to our unique MicroCell® process. MicroCell® CoQ10 Plus Linseed delivers its CoQ10 with 1200mg of linseed oil. Rich in omegas 3 and 6, linseed oil is an ideal source of ALA for those following a vegan diet. MicroCell® CoQ10 Plus Omega offers essential fatty acids from high quality fish oils. Vitasorb® CoQ10 provides the nutrient – plus vitamin E – in liquid form, which makes absorption easier and suits those who struggle to swallow tablets or capsules. Another supplement in our cardiovascular range is Cholesterase – a powerful blend of vitamins, minerals, enzymes and plant sterols. Cholesterase includes high levels of vitamin B3 and B6, and the antioxidant vitamins C and E, which support the protection of cells from oxidative stress. The supplement also includes the enzyme bromelain and the soluble fibre apple pectin, as well as a potent mix of plant phytosterols.